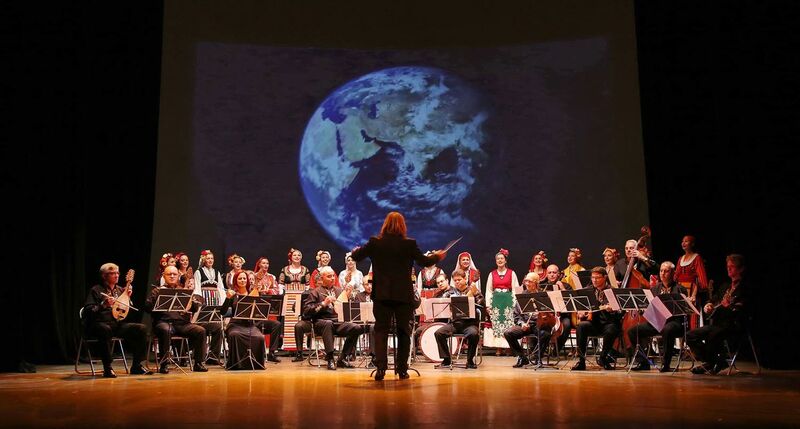 If you have not assisted the performances of the Bulgarian National Radio Folk Orchestra, you’ll never get to know the unique spirit of the Bulgarian musical folklore. The pleasure is even greater if you see and listen to it ‘live’, as all the musicians bear in their blood the feeling and mood of the unmatched and typically Bulgarian instrumental timbres, tunes and rhythms. If you are in the concert hall where they are playing, you cannot help but be overcome by the experience, and sooner or later you start stamping your feet with the rhythm and feel like dancing or, at least, you get up on your feet and start applauding the superb musicians and their performance. It often happens that the audience gets up and starts a horo dance to join the festivity. And, needless to say, every concert of the Bulgarian National Radio Folk Orchestra is a genuine gala occasion for the soul. This chamber formation of 18 instrumentalists sometimes sounds like a double symphony orchestra, of folk instruments at that. These are the traditional Bulgarian folk instruments – natural, most often handmade, playing in an intemperate order. 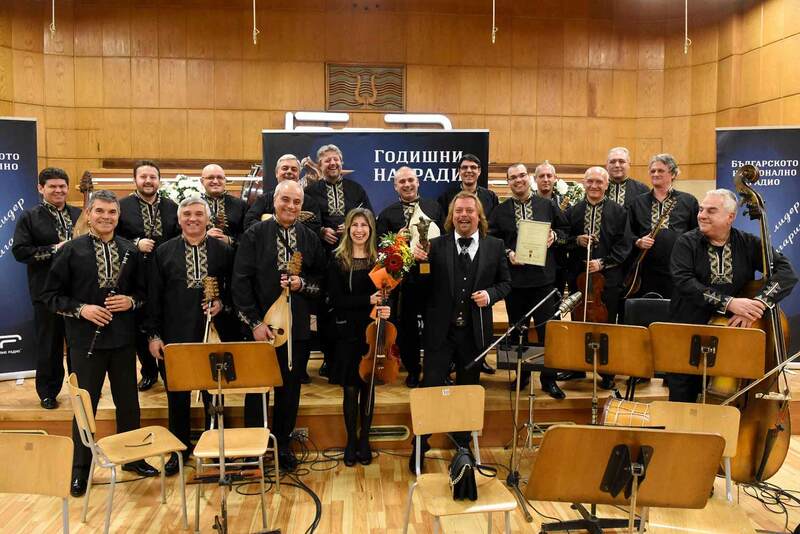 The players in the Bulgarian National Radio Folk Orchestra are immaculate professionals; most of them have higher musical education, specialized in folklore. Apart from being soloists, they are also composers and arrangers who themselves elaborate on and improve the instrumental styles. They can even teach you how to play the kaval (wooden flute), the gadulka (vertical fiddle), the tambura, and show you how to make these instruments. The majority of them has inherited rich family music traditions and are descendants of several generations of Bulgarian folklorists. Hristofor Radanov, the orchestra’s conductor, is like a magician for both the performers and the audience. His artistic conduct bears a depth of knowledge and a keen sense of the national tradition, refracted through the ear of the contemporary man. As both an instrumentalist and composer, Hristofor Radanov is among the most active and versatile creative artists whose pieces sound modern, without leaving the stylistic outline of the century-old tradition of Bulgarian instrumental folk music. 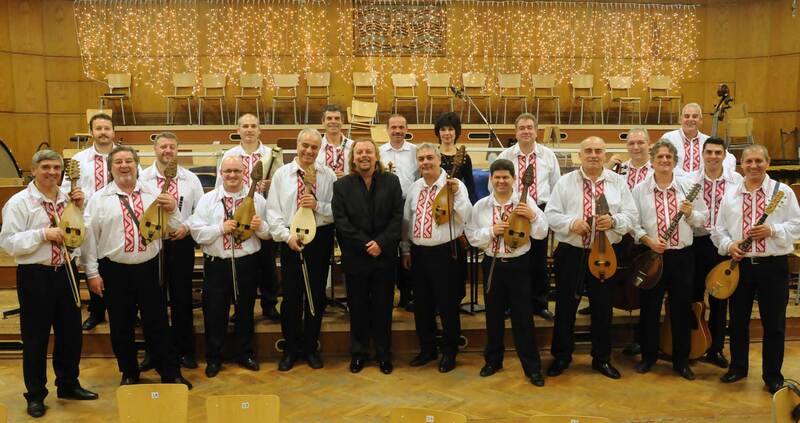 The orchestra’s repertoire covers an unfathomable variety of musical styles from all Bulgarian ethnographic regions. 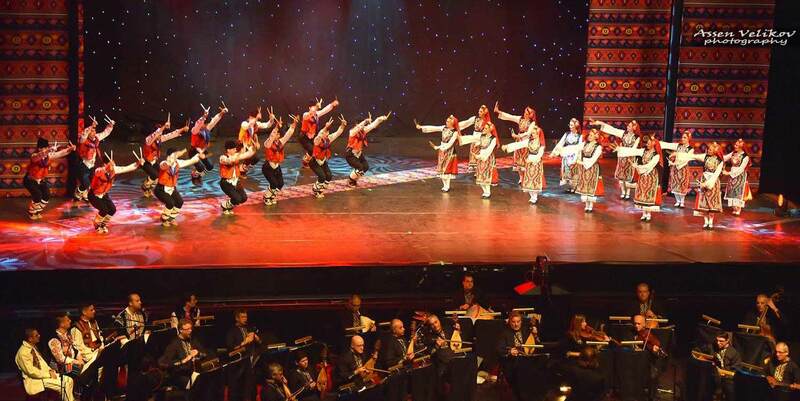 The high professionalism of the Bulgarian National Radio Folk Orchestra gives the listener the opportunity to distinguish between the subtlest details of the Dobroudja, Thrace, Rhodope, Pirin, Strandja and Shoppe folk dialects and their dozens of varieties. 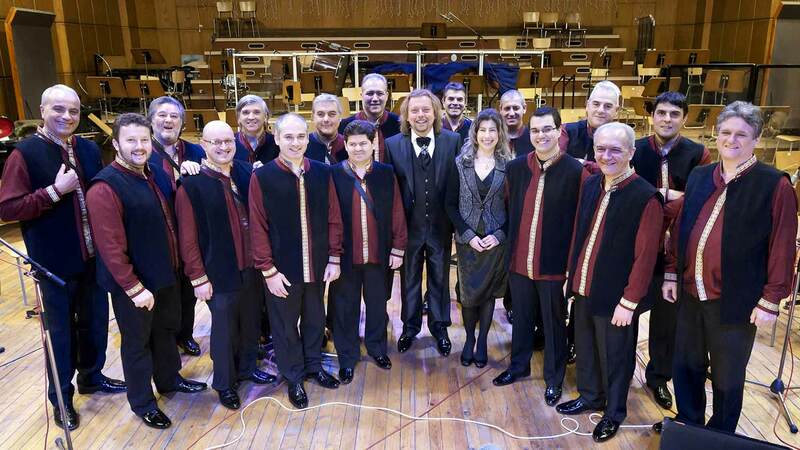 The Bulgarian National Radio Folk Orchestra is said to be the living history of Bulgarian folk music. Founded in 1952, it celebrated its 50th jubilee; more than five decades with thousands of recordings and concerts throughout the world. 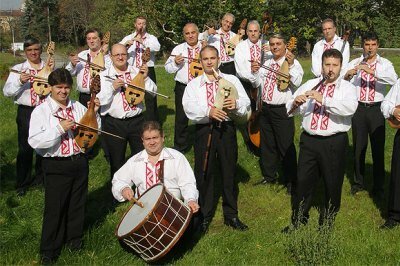 This is an orchestra of unique capacity that has worked with practically all Bulgarian folk singers and instrumentalists. 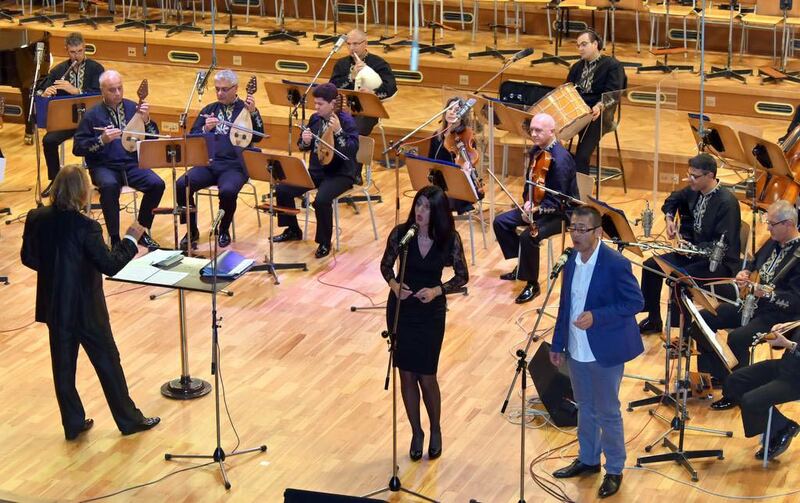 Its soloists are prominent performers like Kostadin Varimezov (bagpipe), Stoyan Velichkov and Theodosii Spassov (kaval), Atanas Valchev (gadulka), the singers Valya Balkanska, Yanka Roupkina, Nadka Karadjova, Trio Bulgarka, Mladen Koinarov, Roumen Rodopski, Dimitar Kehayov, and many others. 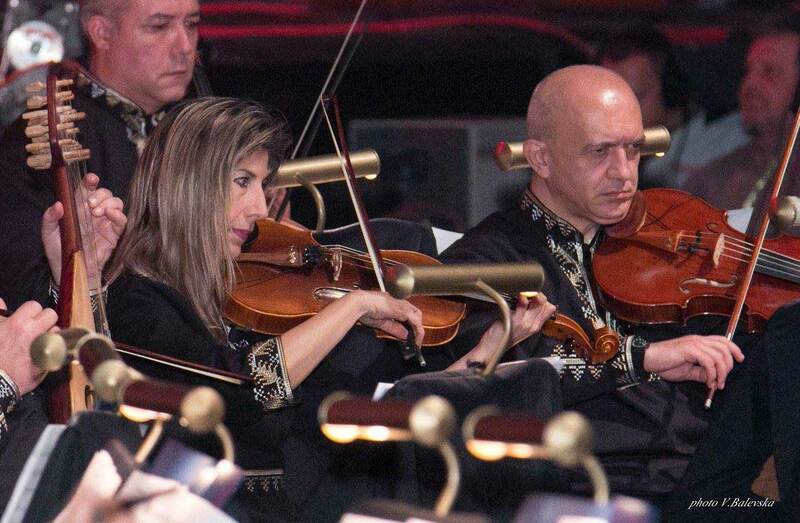 There isn’t a Bulgarian solo singer or instrumentalist that hasn’t performed with the orchestra. Celebrated Bulgarian conductors like Kosta Kolev, Krassimir Kyurkchiiski and Stefan Moutafchiev have directed it. The Bulgarian National Radio Folk Orchestra is a creative lab which enriches the Bulgarian National Radio Sound Collection with new recordings every week, lends new colour to the performances of popular and established soloists, discovers new talents and promotes their careers, experiments with new folk-based sound. 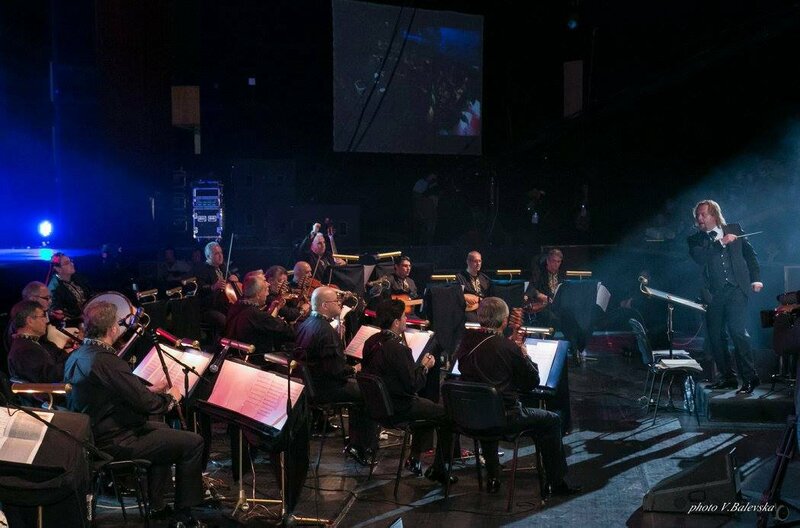 Perhaps the greatest asset of the Bulgarian National Radio Folk Orchestra is the fact that it presents centuries-old authentic samples – pieces of native gold, yet not in the form of museum artifacts but rather as living contemporary emotion and practice. This is probably the reason why the Bulgarian National Radio Folk Orchestra never leaves the listener impartial; everyone gets ‘infected’ with the bug called Bulgarian folklore. 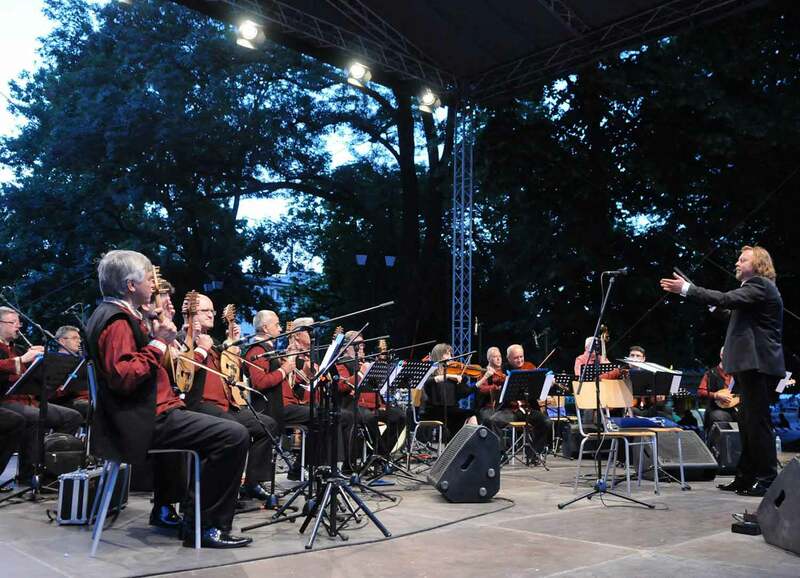 So if you wish to drink from the unique Bulgarian spiritual ambrosia, come and attend a concert of the Bulgarian National Radio Folk Orchestra conducted by Hristofor Radanov.